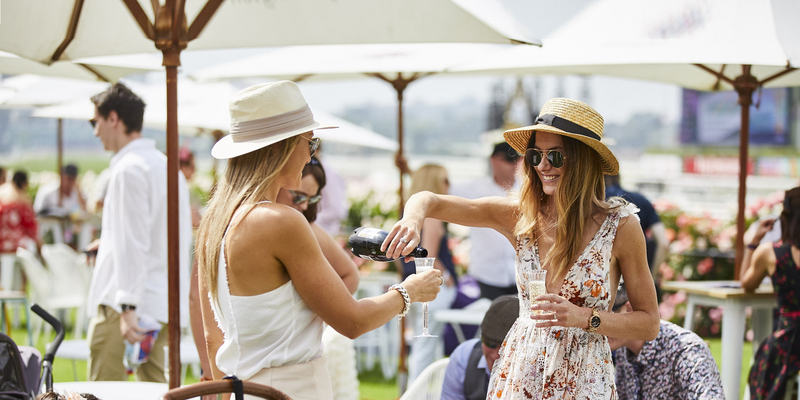 With the long summer afternoons at Flemington and Caulfield, along with balmy nights under the lights at The Valley, racegoers were spoilt for choice when it came to experiences throughout the Festival of Racing. The Bondi Sands Beach Club was the place to be and to be seen at Caulfield. The beach club brought the chilled Mexican vibes to the track and offered cooling waters, refreshing cocktails and chilled tunes to racegoers. The Valley turned green for St Paddy’s Day and put on another great season of Night Racing. Flemington offered a pan-Asia experience Black Caviar, The Great Horse Raceday. It saw the return of the Lucky Wall and a surprise visit from Korean pop sensation PSY. The inaugural All-Star Mile raceday was also held at Flemington and was perfect day at the races with Aussie Rockstar’s, Jet, closing out the day. Nine Group 1 races were run and won during the Festival of Racing, there were plenty of stories to emerge from this year's Festival of Racing. The Bondi Sands Beach Club was a hit one Caulfield Family Day and the Enchanted Forest provided plenty of entertainment for the kids on Australian Guineas Day at Flemington.